This is an older image that I found while I was looking for something the other day. 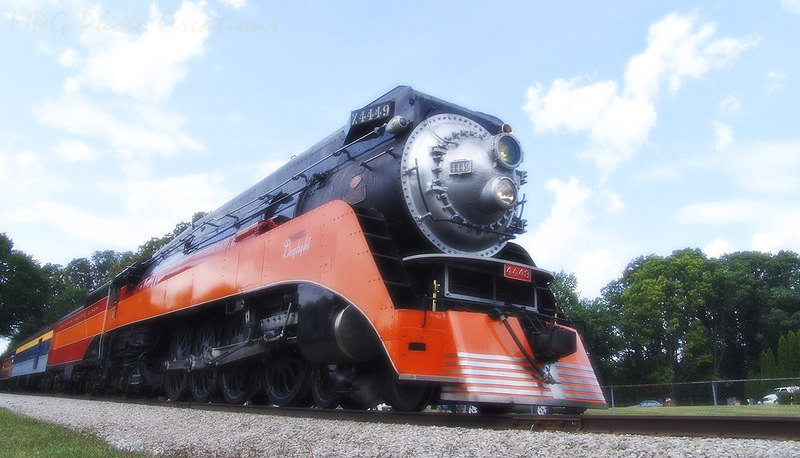 It's the Daylight locomotive doing a photo run by during an excursion we were on in Michigan back in 2009. The Daylight is a quite beautiful locomotive with some streamlining additions to it and color added. I believe it's currently undergoing an overhaul which is required every few years in the US to be able to operate for the public.